Monday – Cutting and wrapping 3 batches of soap. We are also taking inventory to see what soap needs to be made. Did you know that at any given time we have at least 10-12 batches of soap curing. Cold processed soap has to cure for between 2 days and 6 weeks depending on the formula. Most of our cold processed recipes for soap can be processed by sitting in a slow oven for 1-2 hours to speed up the curing process. This technique is known as CPOP or Cold Process Oven Process. 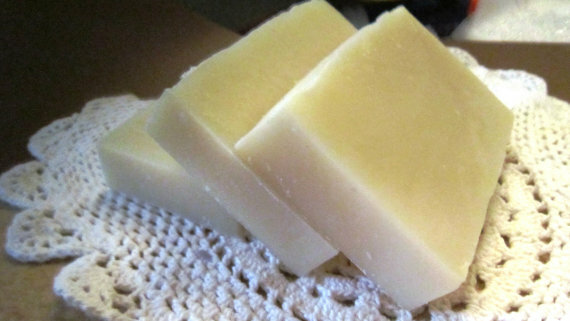 That 1-2 hours in the oven actually cures the soap so that we can sell it 2 days after made. We really love this process. Unfortunately some recipes that involve milk, honey, or almond milk cannot be CPOP processed, and have to slow cure on the shelf for a full 6 weeks. Steve is running to our wholesaler for his order of some needed supplies. Tuesday – I have a half dozen scarves to finish processing and pressing for the weekend. I use a type of dye that is set with heat and steam. After dying the silk I allow the silk to dry, but at this point the dye is not stable. I have to wrap the silk in newspaper, and bundle all the wrapped scarves in a large quilt, which is put in the top of a big steam kettle. 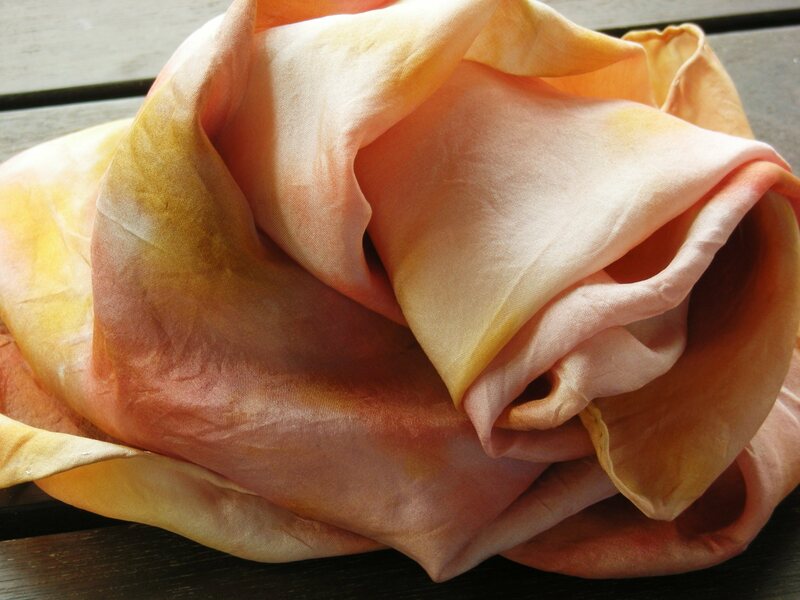 While there are other types of dye that are instantly adhering to the silk, i love the vivid colors of the dye i use, and see that the extra time spent steaming them is well worth the effort! The average time spent on a 15″ x 60″ piece of silk to take it from a blank white piece to finished product is between 6-12 hours depending on the detail involved. That does not include the 2 hours steaming in the pot, or the washing and ironing process. Wednesday – Creating more boxes for the french green clay facial bars, and for the shave soap. I was blessed to find a template online for a box that is the perfect size (3″ x 3″ x1″) for both of these soaps…. Did you know that there are a ton of templates for boxes online and they are free? Initially we were buying a thicker scrapbook paper that had a raised dotted pattern for texture, but we were fortunate to come into a large amount of thick card stock in gray flannel color that a company was throwing away. We rescued about 30 packages from the trash and have put them to use… perfectly great card stock, but the company changed their standard and no longer used this color. Thursday – We are making more sugar and salt scrubs. It starts with me applying the labels to the empty jars. Once the jars are labeled Steve takes them to his work station, and blends the scrubs carefully, then fills the jars. Each jar gets an inner liner to seal them, a lid, a small wooden spoon and a seal that is heat shrunk to the jar. Its quite an assembly line. But it goes fast. Recently we changed our supplier for the spoons. 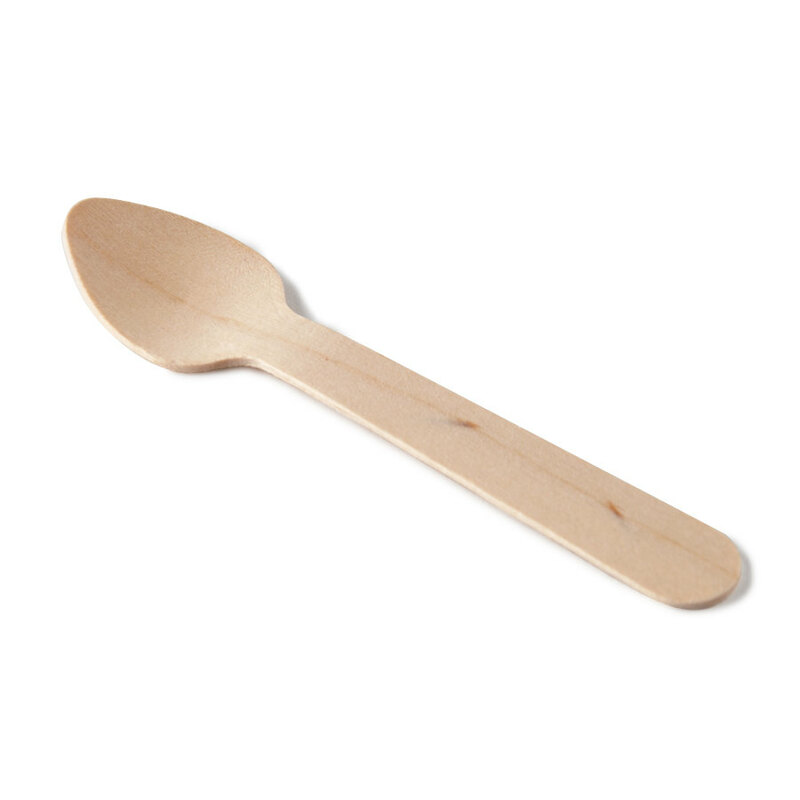 We had been using small plastic spoons, however the supplier stopped stocking them. After some research we found a company that sells wooden ones. Wooden, made from wood that is harvested with environmental sensitivity. Initially i thought they were bamboo, which is a renewable wood source, but they are not bamboo. Friday – Its the day to organize all of our plastic tubs of soap, and get ready for our event on Saturday. We store most of our soap in plastic totes that have tight fitting lids. We like the plastic totes because they protect our products from the weather. We have several products that cannot sit in plastic – our pink himalayan salt soap has to be stored in cardboard boxes because when it is in plastic it begins to get sweaty. There is actually a chemical quality of the pink himalayan – it gathers moisture. So it is pulling all the moisture into the bars, which makes it sweaty, but when we keep them in cardboard boxes this does not happen. And Saturday we are off to Mantua for Art on the Hill Festival. Mantua is a charming sleepy little town in Portage County (south and east of Cleveland). This will be our 4th year as art vendors in Mantua. We love the charm of the day – pony rides for the kids, square dancers and cover bands, great food, wonderful crowds, and a lovely day. This year they are also planning a wine tasting – with 4 local wineries coming out with their best. Our day doesn’t end there… We are part of the Artist meet and greet at the Log Cabin Gallery, so we will be leaving one event to head to another in Peninsula. We are invited to be part of the meet the artist reception from 5-7 pm at the Log Cabin Gallery in Peninsula. So that is our coming week. Whew!